Oh oh powers out! all electric pokemon have no use and can not use any attacks or moves. Also makes the opponent blind. 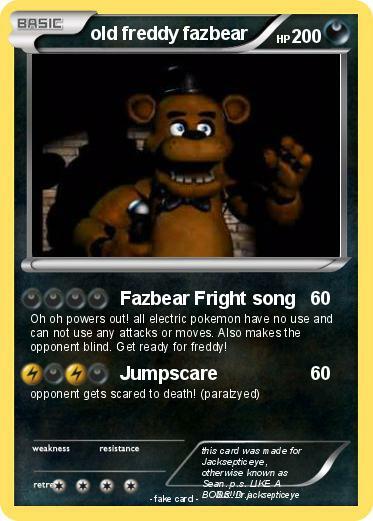 Get ready for freddy! Comments : this card was made for Jacksepticeye, otherwise known as Sean. p.s. LIKE A BOSS!!! !